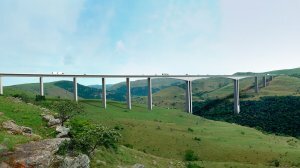 The Aveng Strabag Joint Venture (ASJV) reported on Friday that it would appeal the dismissal of an urgent application, lodged by the ASJV in February, seeking to prevent the South African National Roads Agency Limited (Sanral) from making a call on the bonds relating to the Mtentu bridge contract, terminated due to force majeure. The ASJV launched a pre-emptive application in the North Gauteng High Court for an order preventing Sanral from making a call on the Mtentu bonds until its dispute with the agency had been resolved. Two bonds had been provided, including a R245-million performance guarantee and a R82-million retention money guarantee. On March 22, Judge Tintswalo Makhubela dismissed the application with costs, but no reasons were immediately provided. “The ASJV has provisionally noted its intention to appeal the order which will be supplemented when the reasoned judgment is made available,” Aveng said in a statement to shareholders. The ASJV reiterated its stance that it had a right to terminate the contract after having been prevented from executing works on the project site, in the Eastern Cape, by “community unrest, protest action and threats of violence against its personnel”. In court papers, the ASJV outlined civil commotion and unrest on the site from October 22, 2018, when it formally notified Sanral of force majeure. As at January 14, 2019, the force majeure event had endured for a continuous 84-day period, at which point the ASJV was entitled to terminate the contract. The contract termination took effect February 6, 2019. Sanral argued, however, that there was no force majeure and that the ASJV's termination, therefore, constituted a repudiation or abandonment of the contract. Aveng said in its statement that, should a demand be made by Sanral, the ASJV would, if required, institute further proceedings to interdict payment of the bonds by the guarantor. “Aveng has engaged with and has satisfied its financiers regarding the consequences of a call being made,” the company added, highlighting a Sanral concession that any potential call relating to the retention money guarantee be limited to a maximum of about R22.5-million. The ASJV was comprehensively indemnified, Aveng added, for all losses resulting from any claim Sanral might make with regard to the performance security. 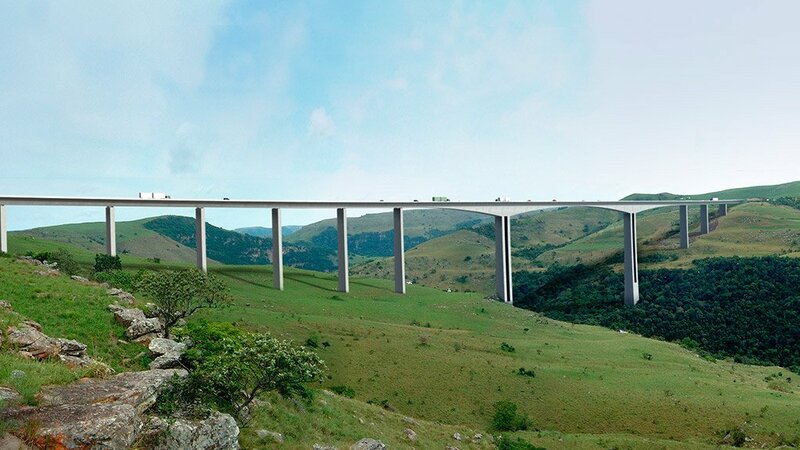 Sanral welcomed the High Court’s decision to dismiss the ASJV application, arguing that the judgment confirmed its position that the ASJV consortium was wrong to suspend construction of the Mtentu Bridge on the N2 Wild Coast Road. Spokesperson Vusi Mona said Sanral would now exercise its legal rights as contained in the contract. “ASJV’s action has placed the entire project in jeopardy. We acted in the best interest of the community, the region and the country when we opposed ASJV’s application and our position has now been vindicated by the judgment," Mona said. The ASJV said it remained confident, however, that its entitlement and decision to terminate the contract would be vindicated by the facts. "Today's order does not change or affect that and we do not expect the judgment to include any finding on the ASJV's right to terminate the Mtentu contract or, for that matter, express any view on the substance of the dispute between ASJV and Sanral," Aveng said. To resolve the dispute over the contract, the ASJV had commenced formal dispute proceedings against Sanral. “The Mtentu contract requires the dispute to be referred to adjudication followed by High Court proceedings if the matter is not finally determined at adjudication stage,” Aveng explained.